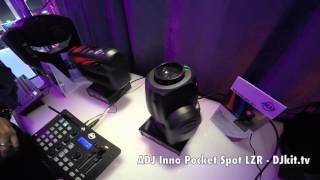 Following the success of the American DJ Inno Pocket Spot, the new American DJ Inno Pocket Spot LZR has the addition of a Green Laser which produces a fantastic effect. Considering purchasing the American DJ Inno Pocket Spot LZR? Have questions? Ask people who've recently bought one. Do you own the American DJ Inno Pocket Spot LZR? Why not write a review based on your experience with it. I bought these to add some movement to my set. They work extremely well and as the pair are synchronized to put on a great show. Compact in size which is ideal for transporting and easy to set up. This product is an excellent addition to the Inno family. Taking the pocket spot and adding a fairly wide spreading green galaxian style effect. This can be controlled using DMX to rotate and pattern shift. 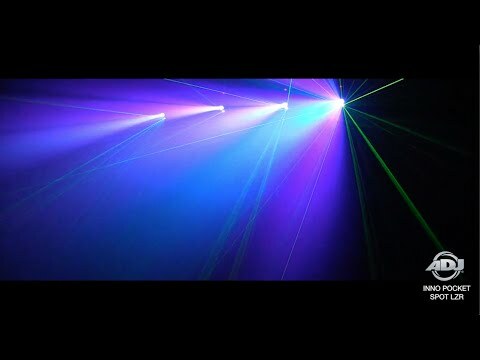 When used with a DMX controller this can give awesome effects such as an upwards wash of laser particles or a sweep. Introduce haze and it is truly brilliant. The UK model also comes with a key to ensure compliance with UK law. brilliant lighting effects from both the main light source and the laser too! 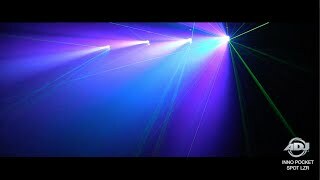 This light is the best light for a mobile DJ because it is small to carry around, the led inside is very good for small and medium venues which you might use it for. The light is also very good because it reacts to the music very well. Seen a video for American DJ Inno Pocket Spot LZR online or have you own video? You will earn 1,048 loyalty points with this product worth £2.62, when logged in. 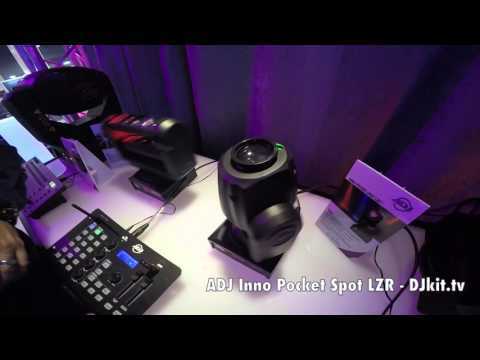 Check out American DJ Inno Pocket Spot LZR on DJkit.com!